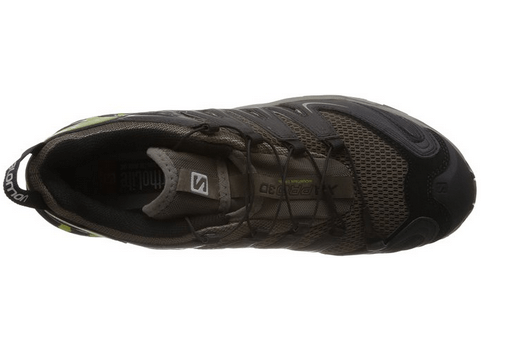 Salomon Men’s XA Pro 3D trail is the ultimate choice for outdoor athletes. For ideal comfort, traction and foot safety, go for this pair of the sports shoe. It is an improved version of Salomon Ultra 2. The new version has better features that ensure that user has the best experience for trail adventures. It is suitable for casual and profession exercise activities. It manufactured with a focus on tackling a wide variety of terrain. This is achieved through the shoe’s 3D chassis system with advanced technology. It offers stability in all weather conditions, and you can consider purchasing it as the best investment. Using this shoe will ensure your foot is protected. Through the solid and inflexible midsole rock plate, it gives unprecedented underfoot protection. The upper part of the shoe further increases foot protection by the multi-layered synthetic leather material. 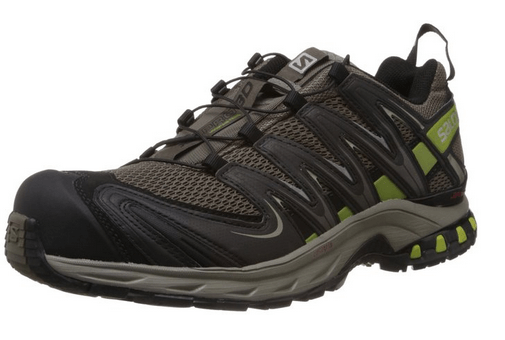 For those suffering from mild foot pronation, this shoe will give stable movements, especially on the trail. The arch support of this shoe can handle light and mild foot pains while running. This shoe has Contagrip rubber material enhanced with anti-slippery patterns. The sole is made of different parts spaced enough and small in size. This gives a firm grip on rocky surfaces and improved performance on mud and snow areas. 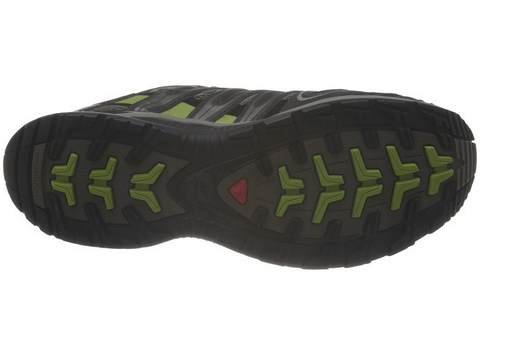 However, the shoe is more focused on the trail and does not give much stable support on the track. This shoe is one of the top shoes in the market under sneaker category. The midsole stability is transformed into the shoe body and can be felt inside the shoe as an arch grip. The primary influence of this feature is that it prevents the foot from overpronation. On top of that, there is a cinch lacing system that tightens the shoe to hold on the foot sides and top. Therefore, the foot is always held in a perfect position. This shoe come in standard length and may look big to some people due to the bulky-built nature. The heel part of the shoe comfortably fits the foot while the toe box is spacious for toe splaying. This factor is relative and depends on user experience especially with the added arch support. Most people like it for its wide toe box and the stiff quality. Although for some people, they will experience a pinching feeling when the shoe is new. After several numbers of usage, the foot should adjust and stop the feeling. The pair has different sizes which have variable dimensions. That explains why the weight varies. For the most common size 11, the pair weigh 32.4 ounces when packed. Generally, this is heavier than expected and may reduce the running performance. For first time users, you will experience the weight as heavy right after wearing it. However, this may vary with individuals. Due to the Sensifit technology applied to the upper body, this shoe provides a precise fit with a customizable Quicklace system. It has a Mud Guard technology plus trading pattern that enable easy run in the mud and faster cleaning afterward. This shoe has an underfoot cushioning that guarantees maximum comfort without risking shock attenuation and motion effects. The outsole has a Contagrip suitable for various weather environments due to its super grip and traction on both wet and dry surfaces. After using the shoe especially on muddy roads, it dries quickly when washed and exposed to mild sunlight or open air. The shoes might get bulky despite the padding and cause a distraction. This pair is one of those expenses in the market and for some buyers, they have to look for discount offers as a solution. Q. Is it advisable to wear this shoe for full day walk? A. This shoe is useful for both casual and professional use. It has good moisture control, and your feet will not be wet after walking full day. The cushioning will provide comfortable feeling for the feet. Q. Are these shoes waterproof? A. No, they have more ventilation for comfortable air circulation. The same air spaces will allow water in. However, the shoe has another version that is enhanced with Goretex membrane for the waterproof purpose. Q. Can it make a good match for office? A. It is a multi-purpose shoe, and you can use it in different environments. If your feet need fresh air all day, then it can be a good choice. It matches well with casual clothes, like jeans. Q. How does the shoe perform when running on a paved surface? A. Although they are made specifically for rough trails where they perform better, you can still use them on other surfaces. Using them on a smooth surface will be more comfortable for feet as they will maintain the same traction and will never slide. Q. 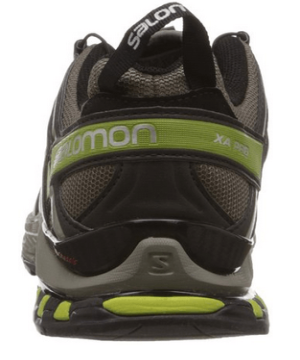 Is there any notable difference between Salomon men’s shoe and the previous version of the same? A. The new version has a less padded tongue, and it is bulky compared to the previous version. Other differences are minor. Since XA Pro 3D is an improved model of Ultra 2, it would be advisable to get the new pair and experience it. Going through the complete Salomon XA Pro 3d review, it is clear that that the shoe is worth the price. It is a recommendation for everyone, and you should get a pair today.